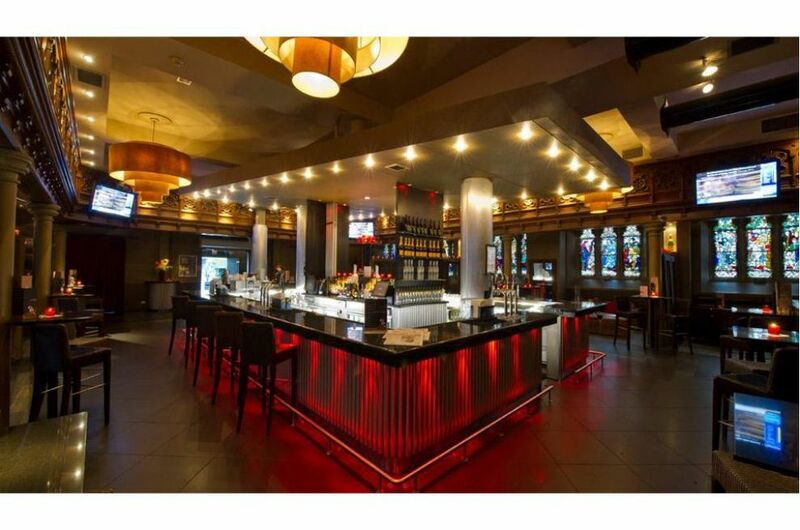 Situated in the heart of Aberdeen's City Centre, Soul bar and restaurant is one of Aberdeen's most popular and unique venues. 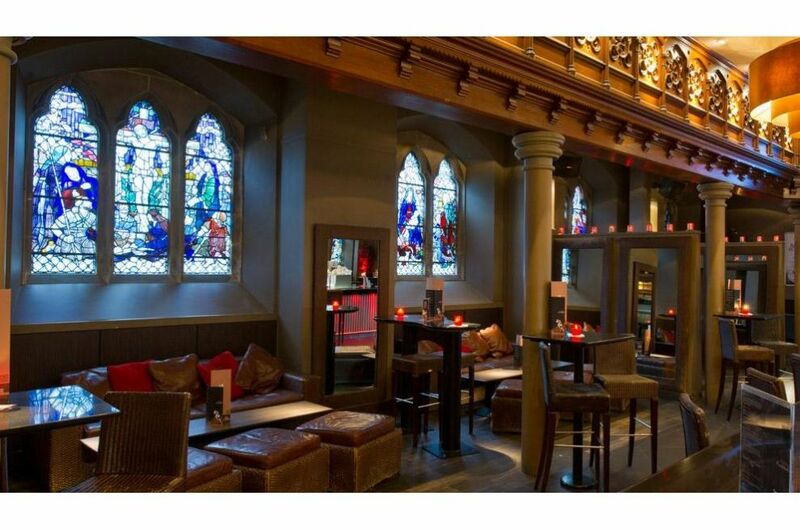 Located within the former Langstane Church, it is a stunning example of a modern conversion with a twist; with opulent decor, stained glass windows, and dimmed lighting creating a laid-back, relaxing atmosphere. 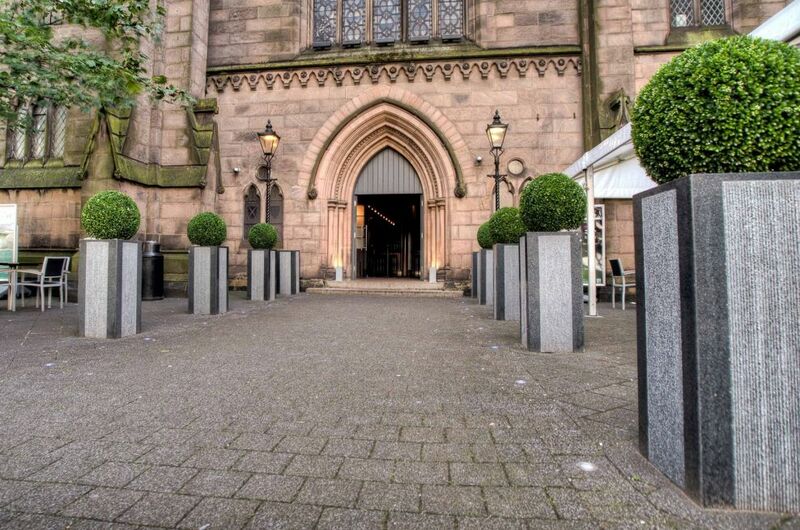 Owners PBDevco wished to create a sense of arrival at the bar, by creating a planted avenue leading to the main entrance; and the scale of the planting needed to be in keeping with the imposing frontage of the former church. 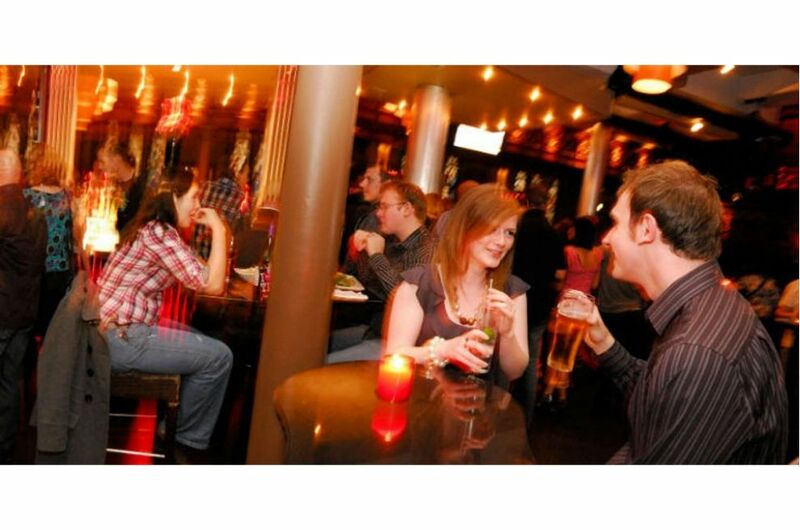 To achieve the desired effect, PBDevco commissioned 12 nr. bespoke granite column planters in IOTA’s Stratos design, which contrasts central panels of vertically-ridged stone with smooth polished edges. 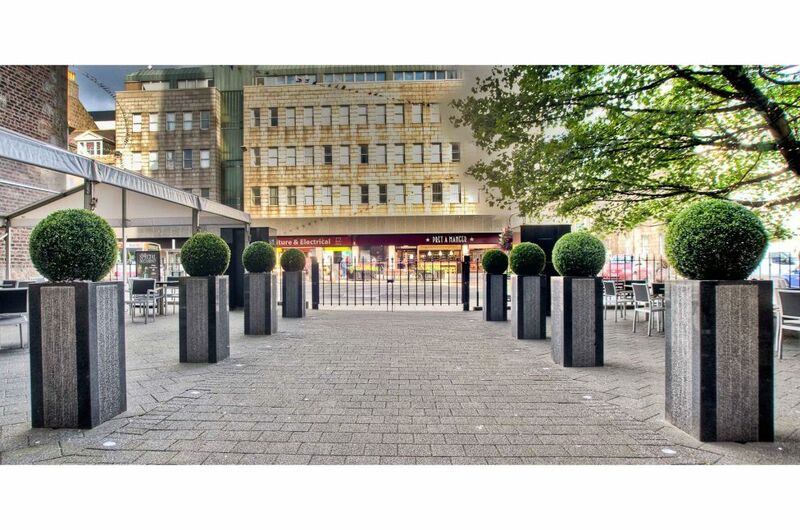 The outdoor planters were made from 25mm thick solid granite, height 1000mm and width/depth 450mm.